SANTA CLARA, CA ― September 2014 ― Rocket EMS Inc., a Silicon Valley-based full-service EMS supplier, today announced that it has installed three new cleaning systems from Aqua Klean Systems. Rocket EMS installed a Typhoon T-8 Chemistry Zero-Discharge Cleaner, T15 Water Soluble Cleaner and DI Recirculating System. “At Rocket we promise our customers extraordinary quality, spectacular customer service and a sense of urgency in everything we do,” commented Marla Sanchez, CEO of Rocket EMS. 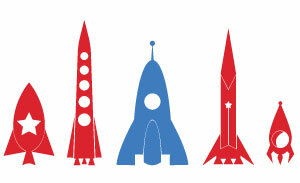 “To help Rocket fulfill those commitments, we need the support of like-minded vendors. I am pleased to say that the Typhoon series has met and exceeded our expectations in all three categories.” The Typhoon T-8 offers Rocket EMS a new way to clean RMA, no-clean and water soluble (OA) fluxes. The T-8 incorporates an adjustable chemical injection pump to assist in keeping chemical wash concentration consistent. The T-8 also incorporates a dynamic air blow-off design, allowing a water-free chemical isolation.